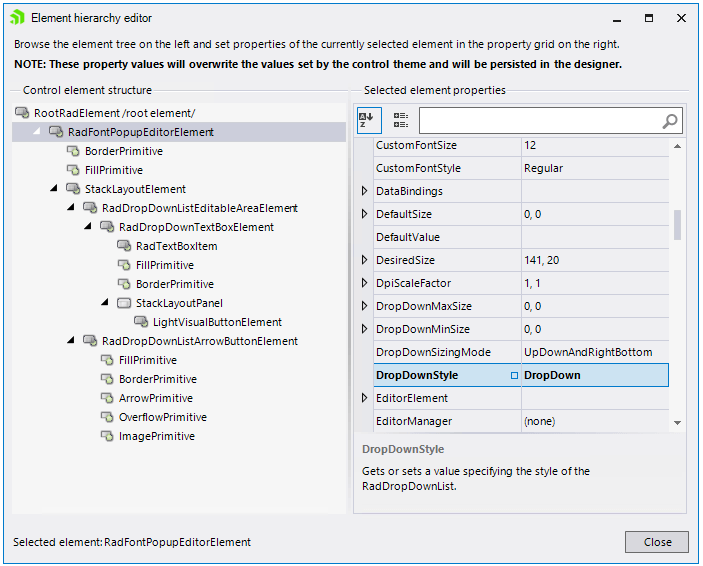 The following tutorial demonstrates how to add a RadFontDropDownList and how to retrieve the selected font. Add a RadFontDropDownList and a RadLabel to a form. 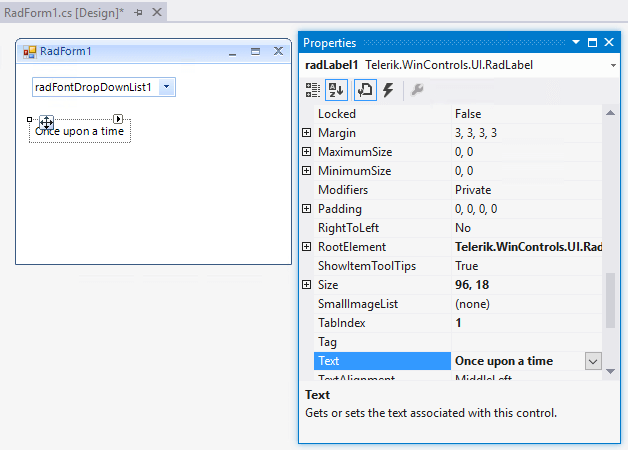 Set some text to the RadLabel via the Properties section in Visual Studio. This is it! Now, the change in the selection of the RadFontDropDownList instance will be reflected on RadLabel's font.